Copywriting drives online business. Although it is an aspect of marketing that is often overlooked, many businesses are realising the fundamental role it plays in attracting customers and producing leads. At Brandjam, copywriting forms the basis of our marketing services. We understand that content is king, and the right words make all the difference! That is why we pay special attention to the words we create for your business. Because at the end of the day, any copy you use reflects your company. We have mastered the art of communicating your desired message in a way that grabs the audience’s attention, sparks interest, and inspires action. 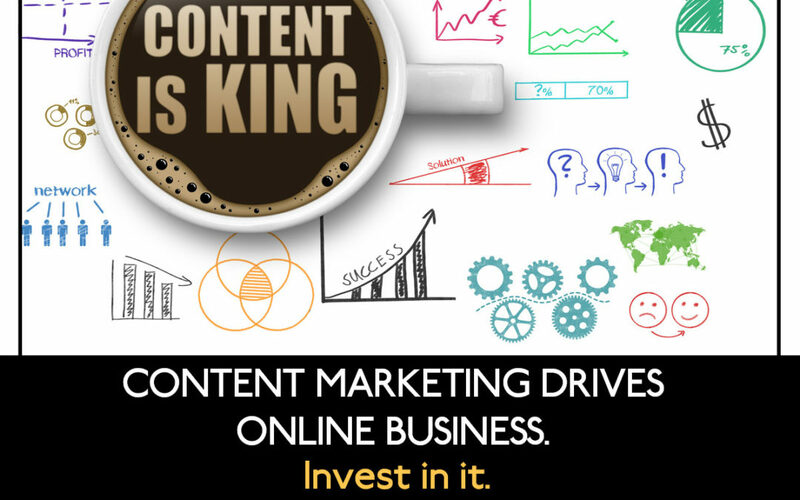 If done well, content marketing can do wonders for your business. It is known that search engines such as Google and YouTube reward you for good content. Having good-quality content that is relevant and fresh gives search engines more material to pull from, which directly boosts your SEO. Website traffic (visitors to your website) increases your ranking on Google. Having good content on the World Wide Web boosts your SEO because those blogs, newsletters, and articles that you publish give people a glimpse into your business which encourages them to visit your website again and again. Marketing is more than just generating new customers, it also involves retaining the customers you already have. People stay loyal to a brand only when they have forged an emotional connection to the brand. An emotional connection is more likely to be formed if the business continues to nurture the customer-business relationship. One of the best ways to build customer relationships is through interesting and informative newsletters sent to customers on a regular basis. These days, communicating to customers about your brand is best done online. It is the most convenient and effective way to get messages across to your targeted audience. Introducing new product lines and services to customers can be done through well-written social media posts, blogs and newsletters- tried and tested methods of content marketing! Newsletters, social media and blogs give existing customers as well as potential customers exclusive information regarding any new products and services. In turn, you remain in their minds-eye for longer. Your followers like to know what’s happening in and around your company. Keeping them in the loop on any company-related news through online content is a great way to be transparent and open. Not all online content has to be explicitly related to your business. Keeping content fresh and relevant means sharing any interesting and thought-provoking news around your industry. Our copywriting services range from blogs, articles, social media and website content to promotional adverts and posters.